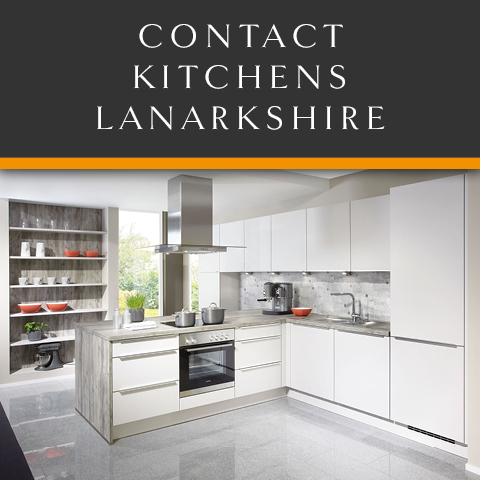 First of all Kitchens Lanarkshire welcomes all enquires either by phone or by filling out the contact form below. Furthermore if you have any questions about our products or services, wish to book an appointment at our showroom or arrange a free home design visit, please don’t hesitate to get in touch. Visit our kitchen showroom page for more information on appointment times. Our phone lines are open Monday to Sunday 8am to 9pm. Kitchen Showroom: 40 Stonehouse Road, Strathaven, ML10 6LF. Our kitchen showroom is located near East Kilbride, South Lanarkshire.